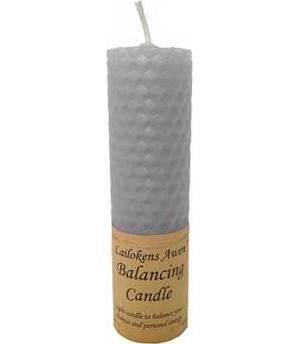 Light candle to balance your chakras and personal energy. Made on the day and in the hour of the Sun. Handcrafted with beeswax and organic essential oils. Slight variations in colour may occur between batches. 4 1/4" x 1 1/4".